My action plan for bringing actionable information to clients as soon as the tax bill becomes law. Update December 31, 2017: Major parts of the law become effective tomorrow. I’ve moved past most of the preliminary points in this article and am now focused on the actions that can make the most immediate impact on the widest group of taxpayers. Those are summarized in this post: “Top Seven Tax Saving Strategies of 2018“. For the first time, it seems likely that we will soon be saying “tax law” instead of “tax bill”. These are the largest change in federal tax policy in decades. This blog post lists the first five logical steps for my tax planning practice. Understand it – A flood of information will follow in the weeks and months ahead but early reliable information is scarce. Tony Nitti’s article today for Forbes it the best breakdown that’s been published so far. 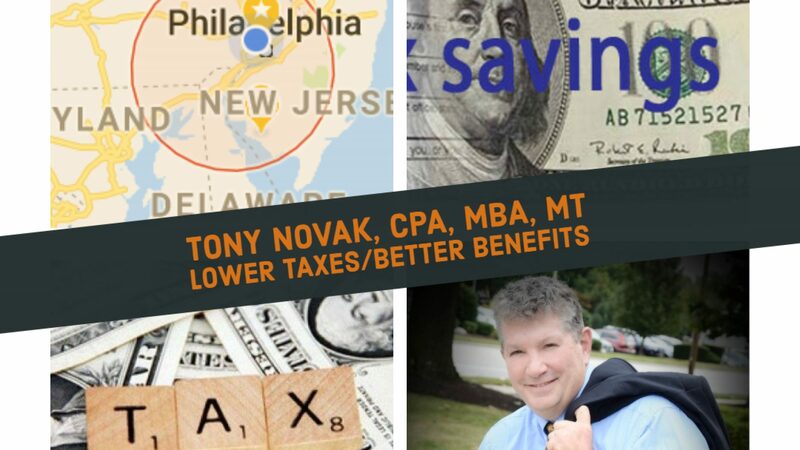 Nitti has proven himself the ‘best of the best’ in tax analysis and I am proud to have him as a fellow member of the NJCPA. Much more analysis will follow. This is a big bill and so deep level of understanding will take time. Even a broad overview like this article takes a few hours to read and understand. It makes sense to me to focus on the issues that most directly affect my clients. If you are generally not familiar with tax topics and are looking at how this affects you see how it affects your individual taxes, see this blog post. On 12/20 KPMG published a summary of initial impressions of the law that provides a more reasonable . Dispel false beliefs – The end goal here is to break the new information down into simple bites that are important for my clients. However, the amount of deliberate misinformation spread by politicians leading up to the passage of this law means that many people already have misunderstandings. The first step is to dispel false beliefs about what is actually included in the new law. This is not a huge tax cut for all of my clients.1 Some will have immediate tax increases.2 This will not make tax filing simpler for most people. This law will not simplify the require for complex software to calculate and submit our taxes. This law will not put tax preparers out of business. Most people will not be filing on post cards. Already I’ve received email from people who are unwilling to accept the real content of the law. They may prefer to listen to the television statements and Tweets made by politicians. I don’t have time for that and simply won’t respond. Offer analysis and preliminary planning – Clients need to immediately know the answers to two questions: “What does it meant to me?” and “What should I do immediately?”. Some clients are already asking about year-end 2017 transactions they postponed due to uncertainly of the new law. These issues must be addressed within a matter of days. We need to make this service as simple, fast, and easily accessible as possible. This will be a top marketing project priority for me. On 12/20 I concluded that the group most likely to request this type of planning discussion are high income professionals in high tax areas like New Jersey. They are most likely to be disproportionately represented in the 10% to 15% of taxpayers who will face tax increases under the law. Address withholding issues – The W4 process used to calculate the net paychecks for salaried employees and the estimated tax payment process for self-employed people will be dramatically affected. This is mostly a job for the payroll accountants that will be addressed later in 2018 in due course. For those getting a tax cut there is no immediate concern. But for those working-class people whose taxes will be increased by the law, this should be addressed as soon as possible to avoid larger problems. My fear is that those least able to absorb a tax increase will be hit hardest. I see far too many cases where a tax payment shortfall of as little as $1,000 for a working class client affects their household finances for more than a year. People who don’t have liquid cash resources need to be especially careful. Forbes reports that 10% to 15% of taxpayers are affected. Educate – There will be plenty of opportunities for tax planning ahead. Eventually entire businesses and industries will be restructured to best cope with the changes and achieve maximum tax efficiency. Again, it makes sense for me to focus attention on the strategies that most directly affect me and my clients. 1 Some taxpayers will face higher marginal tax rates meaning that their total tax cut declines as their income increases. For example, a single taxpayer with taxable earnings of $195,450 will see significantly less of a tax cut than a single with taxable earning $157,500. See this post about single taxpayers. For the impact on married taxpayers filing jointly see this blog post about taxpayers married filing jointly. 2 We are just beginning to get an understanding of the overall net effect of the new tax law. Some taxpayers losing deductions for state, local and property tax deductions will actually pay more total federal income tax. My own taxes will increase slightly. I’m concerned that middle-income clients in high tax areas of Philadelphia and New Jersey will pay more. Also it seems that taxes will rise for some single taxpayers. I’m sure that we will learn more about this in the near future.